Add a splash of colour to your photo album with a quality linen cover from bonusprint. 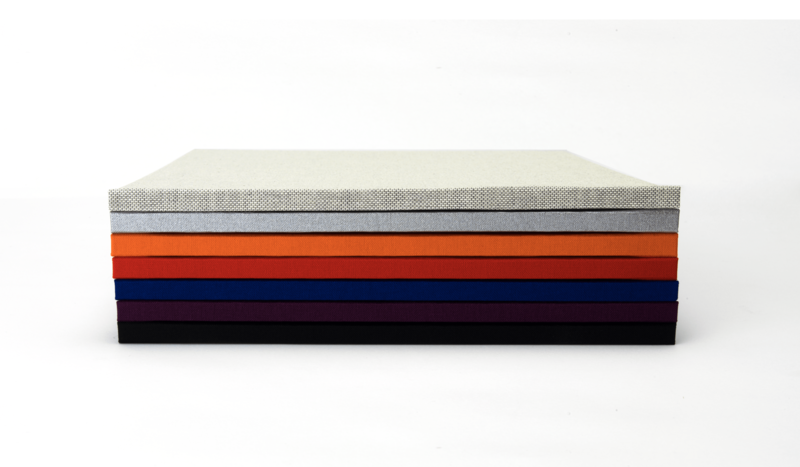 Our linen covers come in seven different shades, so you can carry a theme from the front cover to the back. Here’s how to order your linen-bound photo book online. Linen is our standard binding for hardback photo books if you choose not to add a photo cover or faux leather cover. The fabric is great quality, so you’ll get a professional finish. And on most of our sizes, you have seven shades to choose from. If you’re making an album of family Christmas snaps, why not go for the hot red cover? For a wedding anniversary gift, you could give your linen photo album a sparkly silver cover. And if you love photographing the great outdoors, how about a pure nature cover? It’s so easy to get started. Head to our creator tool, where you’ll see soft cover and hard cover photo books in a range of sizes. Filter the options by the size and format you want, then select a hard cover book – our soft covers only come with a photo cover. Now here’s the fun part. You can get creative by uploading the snaps you love, then play around with text, clip art, frames and backgrounds to personalise your linen photo album. When you’ve finished customising your photo book, click ‘add to basket’. This is where you can add all the finishing touches and select your photo album fabric. For most of our book sizes, you’ll be able to select one of seven shades of linen. You can choose to personalise your cover with a title at this stage too. Once you’ve added your title, why not add glossy paper to make the colours pop in your pictures? And that’s it. You’re ready to confirm your order and have your customised linen photo book delivered to your door.